The TVMucho Referral Program allows registered TVMucho users (an “TVMucho free User” or “TVMucho paid User”) to earn free time of service (“Free time”) by referring friends to TVMucho. By participating, TVMucho Users agree to these terms, which become part of the TVMucho Terms of Service. Capitalized terms that are not defined here will have the same meaning given to them in the TVMucho Terms of Service. the referred friend completes a purchase of a TVMucho subscription. Users with a free TVMucho plan that refer will be credited with 1 week of service for free for each referred friend who signs up for a free plan. This offer is limited to a maximum of 4 weeks for free per subscription year. 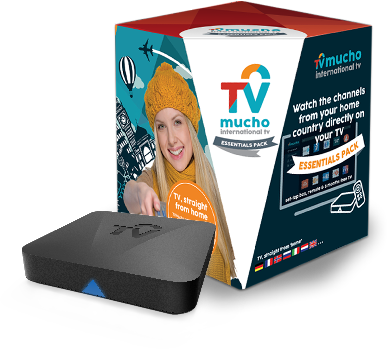 Users with a free TVMucho plan that refer will be credited with 1 month for free for each referred friend who signs up and upgrades to the dedicated three month special referral paid plan. Users with a paid TVMucho plan that refer will be credited with a refund equivalent to 1 week of service according to his her current plant for each referred friend who signs up to the dedicated three month special referral paid plan. This offer is limited to a maximum of 4 weeks for free per subscription year. Users with a paid TVMucho plan that refer will be credited with a refund equivalent of 1 month for free for each referred friend who signs up and upgrades to the dedicated three month special referral paid plan. Free Time may only be redeemed via the TVMucho Site, Application and Services. credits will automatically appear as credit on the checkout page, and must be redeemed within one year from the date they are issued. After one year, the Credits will expire. Credits are coupons issued for promotional purposes; they have no cash value and may not be transferred or exchanged for cash. Credits may not be earned by creating multiple TVMucho Accounts. Credits accrued in separate TVMucho accounts may not be combined into one TVMucho account. Credits, please contact us. TVMucho may require you to submit additional information in order to make a determination regarding your balance. All decisions regarding your balance will be final and at TVMucho’s sole discretion. You are responsible for any Tax consequences, if any, that may result from your redemption or use of Credits. Referrals should only be used for personal and noncommercial purposes, and only shared with personal connections that will appreciate receiving these invitations. Referral links should not be published or distributed where there is no reasonable basis for believing that all or most of the recipients are personal friends (such as coupon websites, Reddit, or Wikipedia). Referred friends that have signed up using a valid referral link will also receive a confirmation. A referred friend may only use one referral link. If a referred friend receives referral links from multiple TVMucho Users, only the corresponding TVMucho User of the referral link used by the referred friend will receive credit or free time. TVMucho may suspend or terminate the Referral Program or a user’s ability to participate in the Referral Program at any time for any reason. We reserve the right to suspend accounts or remove Credits if we notice any activity that we believe is abusive, fraudulent, or in violation of the terms outlined here or in the TVMucho Terms of Service. We reserve the right to review and investigate all referral activities and to suspend accounts or modify referrals in our sole discretion as deemed fair and appropriate. We can update these terms at any time without prior notice. If we modify these terms, we will post the modification on the TVMucho.com website, applications, or services, which are effective upon posting. Continued participation in the Referral Program after any modification shall constitute consent to such modification.